Today Matthew and I decided to make cupcakes, but we didn’t want your normal run of the mill cupcakes, we wanted something that would be a bit different, but still have that Fall feel to it, which is how we stumbled upon the Candied Yam Cupcake in my cupcake book. This seemed like such a random cupcake, and I was a bit nervous to make it, but it was amazing I would highly recommend it, and it would make a great dessert on Thanksgiving. Preheat your even to 350 degree, and line your muffin pan with cupcake liners. 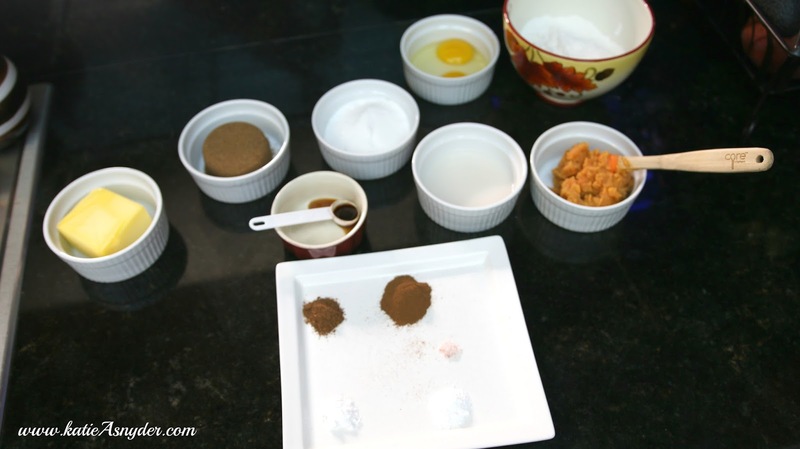 In your mixer add the Butter, Brown Sugar, and Granulated Sugar and cream together until it becomes paste like. Add in the Egg, Yolk, Vanilla, and Sweet Potato. In a separate bowl mix all the dry ingredients together. With your mixer on the lowest setting add in 1/2 the Flour Mixture, slowly. Then add in 1/2 your Milk. Then add in the other half of your Flour Mixture. And finally the other half of your Milk. After everything is mixed well, spoon into your cupcake liners and place in the oven for 20-22 minutes. Place the Brown Sugar, Granulated Sugar, and Water in a sauce pan and stir, then when everything is fully moistened place on medium heat. While that is cooking place your Egg White and Cream of Tartar in your mixer, with your whisk attachment, and whip until heavy peaks form. Once the sugar disolves and the mixture starts to come to a very low boil, remove from heat and add in your 1/4 Cup Mini Marshmallows, and stir. After the Marshmallows have dissolved VERY SLOWLY pour the mixture into your Egg White, you should do just a couple of tablespoons at a time so it doesn’t flatten your white. This should be happening whilst your mixer is on medium-high speed. Whip until the frosting begins to hold it’s shape, then add in the Vanilla and whip for an addition 3 minutes. Frost your cupcakes immediately as this will set up rather quickly. 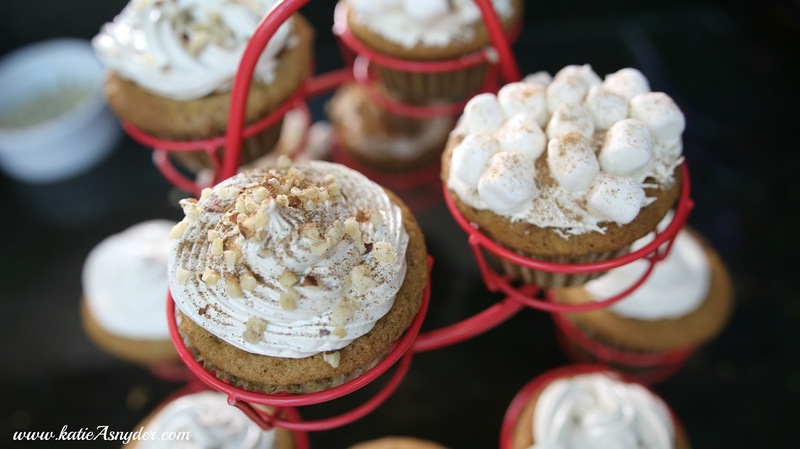 Decorate your cupcakes with Marshmallows and nuts, then sprinkle a dash of cinnamon as to give the toasted marshmallow look. Matthew and I had a ton of fun making these, and the frosting literally tastes like marshmallows, while the cupcake has almost like a moist banana bread taste to it. Tag me on Twitter and Instagram if you make these, and also leave any questions you have on the recipe below, and I’ll get back to you as quickly as I can. You can watch the video for this here, pay attention to the pouring of the Sugar/Marshmallow mixture.